Moving up to your next home can be a tricky process. Personally, it took Kim and Chavi over a year to buy their second home...and it's taking even longer to make it to home number 3. Through our own experience, we have learned to help focus our client on getting to their next Diva Dwelling and keep the process as stress-free and fun as possible. Moving up in the Seattle housing market can be tricky, and you have to be patient. 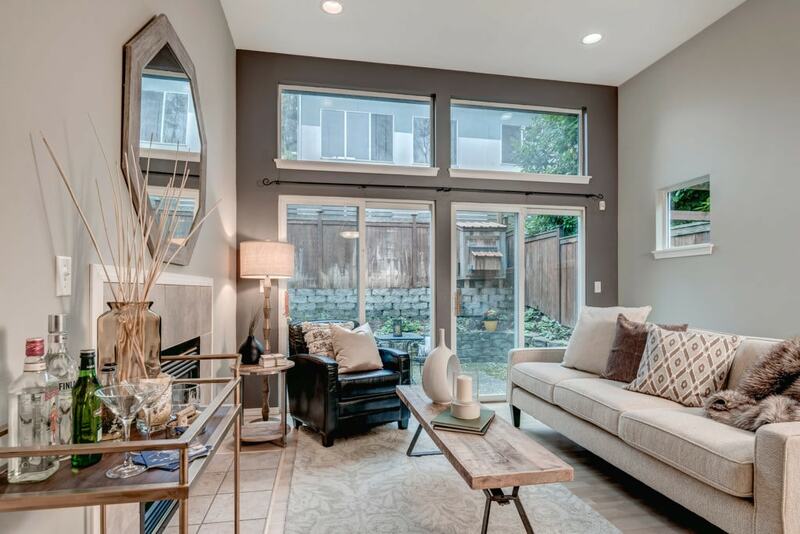 Seattle does not have a lot of land or inventory and finding the right house in the right location takes some skilled moves. When it was time for Divas, Kim and Chavi, to make the move it took over a year of regular house hunting to find the perfect mid-century home in their favorite neighborhood. Meanwhile, they lived with their 3 cats, 2 dogs and 1 bunny in a cramped, glorified one-bedroom house in Rainier Beach, waiting for just the right home to come along. And then, when it finally materialized, they ended up in a multiple offer. We have survived remodels, the recession, the roof opening up and water pouring into the house, and we are onto our second remodel. ‘Tis the Diva Way. Oh BTW, despite losing value in the recession, we are currently hovering around twice the amount we paid for the home. There is something to be said about being patient and doing the work. 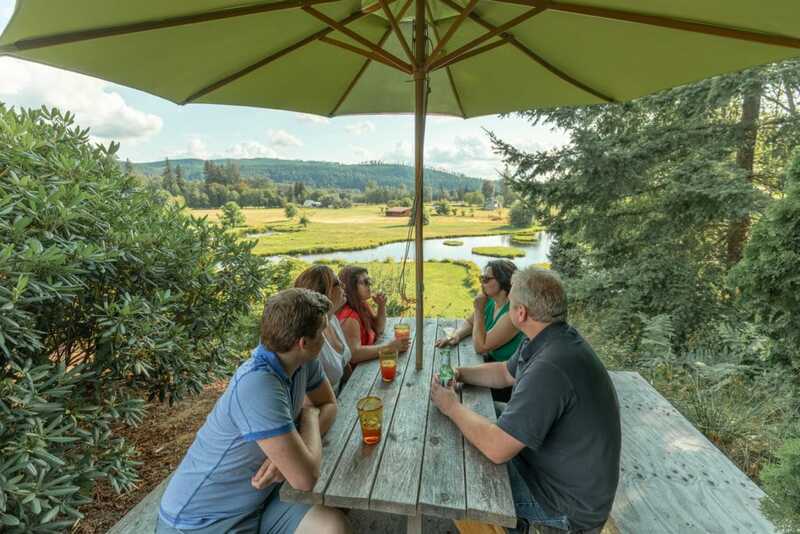 What are your options when moving up in Seattle? There are three options to moving up to your next home in Seattle. Each have their pros and cons. It is CRITICAL that you meet with a Team Diva member to go over your options BEFORE making the moving up move. It will take time, planning, meeting with financial folks, and prepping your own home for the move BEFORE you even start looking for your next house. Contingent sales are becoming more common as the market shifts from an extreme seller’s market to a more even market. This is great. It frees up more starter home inventory which is desperately needed. The process is fairly easy but can be tricky. It is so important that you talk to a Team Diva member to really dive into how to customize this process for you. Step One: Prep Your Home for the Sale. Go now to TheDivaDifference.com and get your stuff in order. Or take a short cut and text the Diva Desk Phone 206-271-0264. We will jump-start the process and get you going in the right direction. Step Two: Get Initially Approved for a Loan: Part of the preparation process needs to be a deep conversation with a finance person and your team. How much can you sell your home for? What are the proceeds from the sale can be applied to your next house? What can you afford? Can you afford what you want in the neighborhood you want? Step Three: Look for Your Next Home. Moving up to your second home is the hardest process you will go through. You will be super picky. The first time you buy a house, you are typically just psyched to find a house that you can afford in a neighborhood you like. You quickly learn what you REALLY want in your next house. And it better include a second bathroom. All of our Team members are trained in a process that gets at the heart of what you are looking for, why you are looking for this home, and how to get you through the process. Step Four: Make an offer and get into contract on your next home. This follows your standard home-buying process. Make the offer, get it accepted, do the inspection, go through financing, and finally close on the home. With one small point….. you have to sell your CURRENT home before you can close on the next home. Step Five: You have five days to get your home on the market. You have five days from the time you get into contract to put your CURRENT home on the market. It is a mad rush of cleaners, photographers, handypeople, etc… Hence the more you do in advance to prep your home for sale the easier your process will go. Step Six: Sell your home with the Diva Difference. Sell your house. 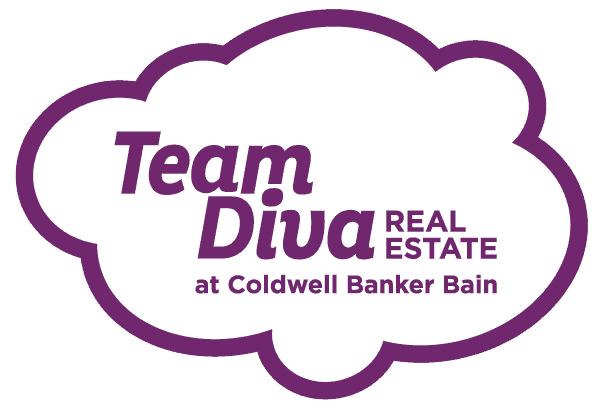 Team Diva consistently sell our Diva Dwelling for more money than our clients’ neighbors. 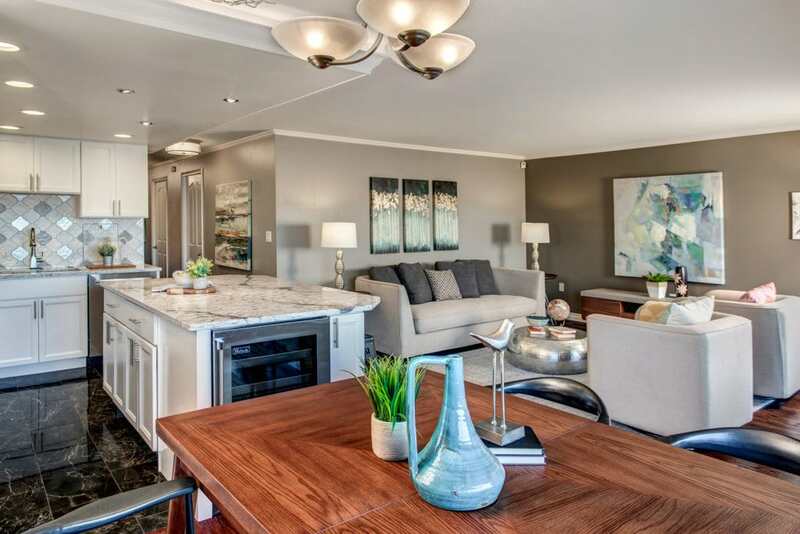 This last fall, Team Diva’s own Rocky sold his West Seattle condo for more money than the neighbor who had full views of the sound. Why? The Diva Difference. Step Seven: Close on Your Existing Home AND Then Close On Your Next House. Typically it can happen on the same day. For safety purposes, it is typically a day apart. Sellers can negotiate a day or two of rent back from the new buyer to give time to move into your new home. Be quick! Pro-Tip: You need to meet with Team Diva and get your house in order before you start this process. You only have five days to get your house on the market. And it needs to be in pro shape. Here is a quick link to our Guide to Make Your Home Pretty. The safest way to know EXACTLY how much money you will have to make the big move is to sell your existing home FIRST. The risk with a contingent offer is that you end up paying top dollar for your next home and can possibly be bumped from the transaction if another buyer comes along. You also HAVE to do whatever it takes to sell your existing home which can mean selling it below market value. Step Three: Get Initially Approved for a Loan: Part of the preparation process needs to be a deep conversation with a finance person and your team. How much can you sell your home for? What are the proceeds from the sale can be applied to your next house? What can you afford? Can you afford what you want in the neighborhood you want? Step Four: Get the Home on the Market, Get it Into Contract and Get It Closed. Follow the TheDivaDifference.com and get yourself an awesome buyer. Typically the sale process takes about two or so weeks depending on market conditions. And then expect about a 21-45 day close. Step Five: Go find a temporary rental. Some of our clients lucked out and house sat for a friend of theirs who was out of town. Others rented an AirBnB. And some downsized and got a place with a six-month lease. In their overall budget, they included a line item for potentially having to buy out their lease. For example, if they found a home in month four, they still had to pay the extra two months of rent. Step Six: Finalize Your Approval Amount – Knowledge is power. Knowing what you can afford allows you to make a smart purchase on your next home. Step Seven: Look for Your Next Home. Moving up to your second home is the hardest process you will go through. You will be super picky. The first time you buy a house, you are typically just psyched to find a house that you can afford in a neighborhood you like. You quickly learn what you REALLY want in your next house. And it better include a second bathroom. Step Eight: Make an offer and get into Contract on Your Next Home. This follows your standard home-buying process. Make the offer, get it accepted, do the inspection, go through financing, and finally close on the home. Step Nine: Close On Your New Home and Move! Yippy you made it. This process can go fast. Or it can take years. It all depends on where you are at personally in the process. But do not worry. We are here for every step of the way. 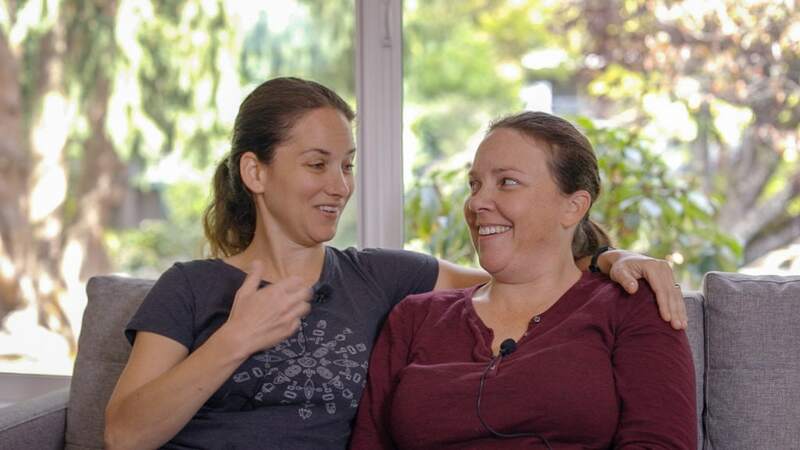 Tamar and Jacqui had to sell both of their homes before they were able to make their forever together home a reality. There are a lot of homeowners who bought cute little starter homes during the recession. The market has tripled since that point. Not only is your mortgage super low, but you also have a ton of equity. For some, they might want to take that equity and buy up to their next home. And others might want to just keep their current house as a rental and buy their next home. Both are great options depending on what your long term needs are and how much you want to be a landlord. Below are the steps to making this process happen. Step One: Get Approved for a Loan: Have a deep conversation with a finance person and your team about how to get approved for the next home. You might have savings. Or you might need to get a line of credit on your existing home to use as a down payment for the next home. Each person is different. Step Two: Look for Your Next Home. Moving up to your second home is the hardest process you will go through. You will be super picky. The first time you buy a house, you are typically just psyched to find a house that you can afford in a neighborhood you like. You quickly learn what you REALLY want in your next house. And it better include a second bathroom. Step Three: Make an offer and get into Contract on Your Next Home. This follows your standard home-buying process. Make the offer, get it accepted, do the inspection, go through financing, and finally close on the home. Step Four: Close On Your New Home and Move! Yippee, you made it! This process can go fast. Or it can take years. It all depends on where you are at personally in the process. But do not worry. We are here for every step of the way. Step Five: What to do with your old home? Do you want to rent it? Or do you want to sell it? Regardless there is preparation you will need to do for both situations. Seattle has very strict rental rules. Luckily, our team is well versed in the steps on making this happen. And if you decided to sell the home… well, you know our team! No one gets the job done like Team Diva. Go now to TheDivaDifference.com and get your stuff in order. Or take a short cut and text the Diva Desk Phone 206-271-0264. We will jump-start the process and get you going in the right direction. Whew, that was a lot. Do you feel prepped? Ready to make the magic happen for your next home? Regardless of these general guidelines, everyone’s process is different. We are here to help you navigate the process and get you into the next home of your dreams.